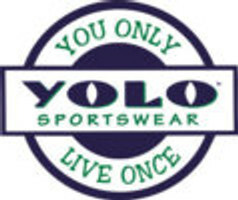 The YOLO Sportswear Consignment Program has been designed with YOUR event in mind! We send you our best selling items in sizes and colors the girls want. We don't charge shipping on the items sent out to you. We don't send too much inventory to cut into your profits shipping back. Our program has one thing in mind...for your customers to be happy with the selection, and for you to be as profitable as possible with the least amount of stress. If you have an event coming up or would like more information, please call Natalie at 888-USA-YOLO or submit the form below and we will get back to you.